One of George Bernard Shaw’s early attempts at photography. GBS took up photography as a hobby and later on after this attempt, he became quite expert on photography. He writes…………. The confounded camera played me false in some uncontrollable manner. All the other shots came out blank. I will try again. Back Row: T. Marshall: Gudrun Mayer; Harold Knight: Scott Sunderland: Mrs Grein. Middle Row: G Bishop: Tanya Muiseiwitsch: Daisy Kennedy Drinkwater: Bibby Byrne: and Laura Knight. 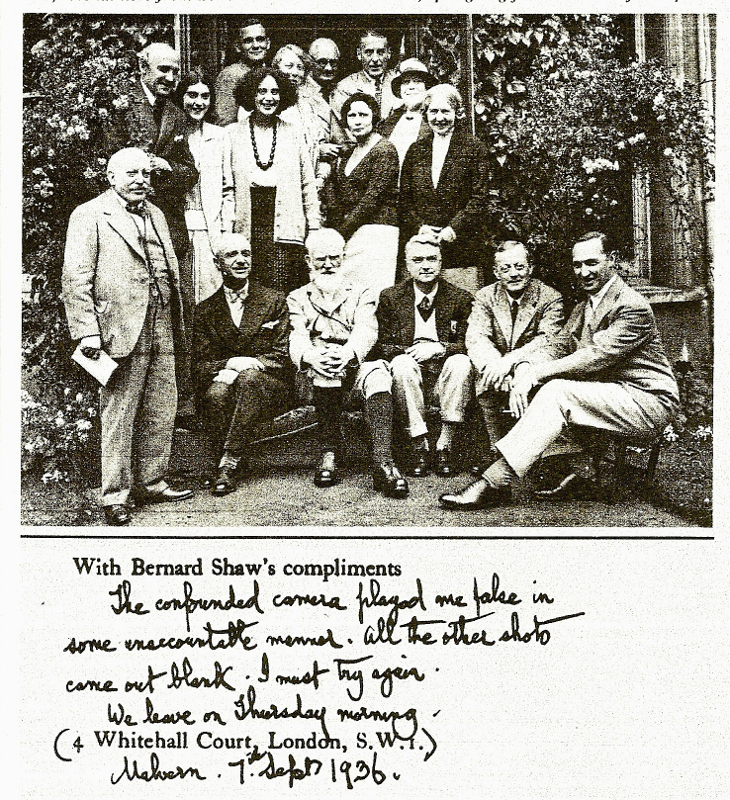 Front Row: J Grein; Robert De Smet: George Bernard Shaw: Earl od Sandwich and Barry Jackson.